Joined P1 Motorsports for the IMSA Prototype Challenge season and was also part of the Rolex 24 Hours of Daytona in a GTD effort with Mercedes and drivers such as JC Perez, Kenton Koch and Loris Spinelli. 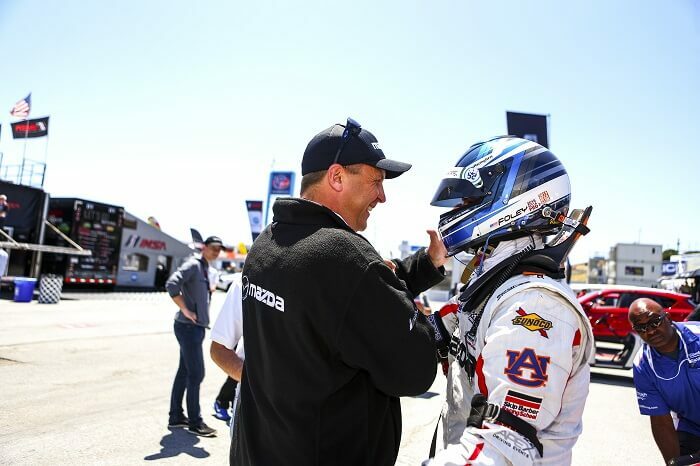 For the LMP3 season, Foley was teamed with Jim Garrett where they managed to secure the Vice-Championship in the IMSA Prototype Challenge Masters Championship. On the strength of multiple podiums and valiant efforts, Foley garnered enough points to just miss out on the overall series title chase. 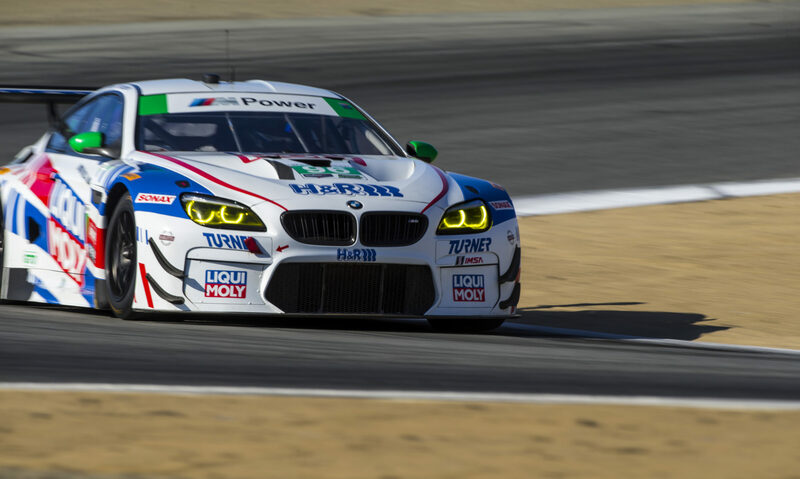 Foley joined Turner Motorsport in their BMW M6 GT3 car to help develop a setup for future events. With the test going well and Turner claiming the victory in the Six hours at the Glen event, Foley was invited to join legendary driver Bill Auberlin in some sprint style races. While luck was not on their side, the race pace was there as they showed speed to compete for race wins and podium results through the remainder of the 2018 season. Competed in Devil in the Dark 12hr finishing 4th in class, and 7th overall in a field of 39, driving an Improved Touring R Mazda RX-8. 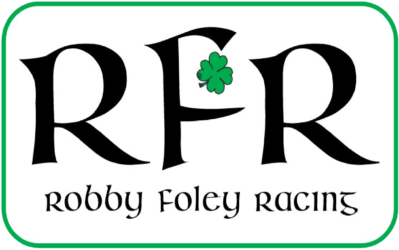 First event of the Year for Robby was March at VIR where he would compete in his final two sanctions to earn his national license at the age of 15; an achievement only a few kids in the country have accomplished. Being one of few kids in the country with national license credentials Robby was asked to instruct at the SCCA March Lion Drivers School at NJMP Lightning where his student successfully passed, and was signed off. 5 of the Pro-it series was next and was going much better than previous events this year. After an ITB Pole in qualifying the race was going well until an electrical gremlin from the alternator to the battery developed a miss causing a loss of power which over the last fifteen minutes of the race caused us to lose the lead, and subsequently finish 3rd. Next was the IT-Fest at Mid-Ohio and Robby’s first time to the track. Robby had good speed all weekend, but it was evident that the car didn’t have the power to hang with the ITB leaders. Turning good laps all weekend qualifying 6th on Saturday. After consistent qualifying races all weekend Robby was optimistic for the final race Sunday, but after 3 laps the wire to the coil fell off causing a loss of power and an end to the race for Robby. After the IT-Fest Robby traveled back to Mid Ohio to run a Skip Barber lapping day in preparation for the Skip Barber Winter Series set to begin in November. After a successful day, Robby is looking forward to competing in the winter series. After recovering from his harsh left leg injury in Sept. of 2010 well enough Robby headed to Laguna Seca for a Skip Barber School in the MX-5’s to make the transition from Karts to cars. This served as a valuable experience to get used to 3 pedals, suspension etc. Shortly after his 15th birthday, and after being specially approved by the SCCA Robby went to a test day at NHMS to get signed off on his novice permit to Race. Robby was only the 3rd person in the country to go through the Drivers School process the non-traditional way by getting signed off on a test day. His first race was Summer Thunder at NJMP’s Thunderbolt track. Since his dad was running for points in ITB Robby ran the car in STL (Super Touring Light) sharing the car with his dad. Even though it was Robby’s first time to the track he was running times that would have been competitive in ITB. Most importantly he ran clean and got passed on his first of 6 SCCA sanctions required for 15 year olds to earn their National License. Next, it was back to NHMS in September for a double regional where Robby got two more sign-offs from the stewards. The conclusion of 2011 for Robby was the Jersey Road Racing Classic(JRRC) at NJMP Lightning. This was his first time on Lightning, but he took to the track very quickly after running a time 1.5 seconds quicker than his dad who was the 2011 PRO-IT champ for ITB. This was another good weekend for Robby finishing second in STL and getting his forth sign off. 2010 was a year off from racing, but was definitely a tough year for Robby after he was injured playing football tearing his LCL, ACL, and PCL, as well as breaking his tibia, fibula, and ankle. Al,so perhaps the most significant part of the injury was that Robby suffered a peroneal never palsy causing him to have severe foot drop.